Modern Car | Just Shooting Memories! This car was way before it’s time. 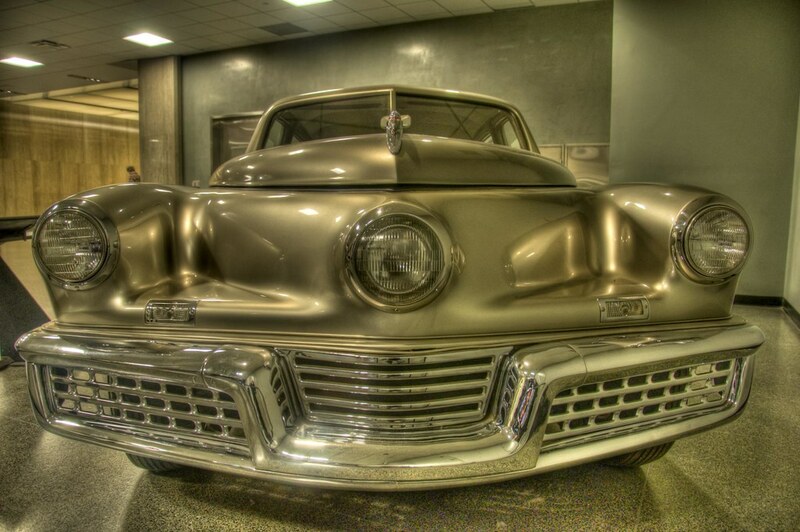 The 1948 Tucker Sedan (on display at the National Museum of American History). Where else could you find a car with a safety chamber in the front passenger floorboard. I am sure the passenger would have time to see another car, recognize the threat it represented, react to the threat and position themselves into the safety chamber. But anyway, this was one cool car. The front middle headlight was attached to the steering so you could see the road better. Congratulations on your 100th post! Though I never made a formal commitment, I’ve decided to try a post a day too. Posting photos is easy. Posting good photos is hard work. I’ve enjoyed your variety in your photography and your talent shows in each one. I don’t know how I missed it, but I didn’t see the Tucker when I was there in May. I do recall seeing one years ago at a car show though. Great car. Great photo.